One of our most popular classes is located in the heart of Reigate Town Centre. Just moments from the high street and Priory Park, our class takes place in Reigate Methodist Church Hall to provide a light and airy space that is perfect for singing, dancing and acting. Little Steps, for our smallest of students (sges 2-3), takes place on Monday and is taught by Anna. Tuesday sees Step 1 (ages 3-5), Step 2 (ages 6-8) and Step 3 (9 and older) taught by both Anna and Hannah. Wednesday welcomes all 3 age groups again and is taught by Anna. 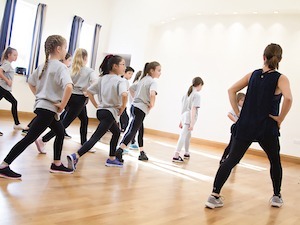 The classes run for 60 minutes, with the exception of Little Steps which is 45 minutes, and sees a mixture of disciplines explored including dance, drama and signing. Expect a wide variety of styles including street dance, musical theatre, jazz, improvisation, script work, solo signing and harmony singing in groups. Throughout the class we endeavor to create a fun, creative environment that increases confidence, improves fitness and makes lots of smiles. Want to Try our Reigate Class for Free? We love Star Steppers! A brilliant combination of dance and music appreciation! We love that it's modern music mixed with children's favourites. My little girl was nervous to start with as with all new situations but Anna gently encouraged her and allowed her to participate to her own comfort levels and it's been the highlight of her week ever since, constantly asking "is it Wednesday yet"! Anna is a brilliant teacher and we look forward to more!! Thank you! My two daughters have been attending Star Steppers for many years since they first started in Reigate. They have always had fun and have learnt to be confident speaking, acting and dancing in front of audiences. I am constantly impressed with the material that is covered, ranging from the fun, energetic dances to the more challenging contemporary/ artistic styles of dancing. I also really like the way the classes have evolved over the years to cater for the older children to provide more challenging material and to keep them motivated and enthusiastic. I really wish I was young again so that I could be part of the classes! My daughter LOVES her Tuesday sessions and skips out of the car to get there on time. She can't wait to be in the big show and does not stop singing and dancing around the house. Thank you for all your continual hard work behind the scenes and all the opportunities you are providing for our children. Naomi wasn't going to be satisfied with simply a dance class and when we heard about Star Steppers, it seemed perfect for her. Naomi began Star Steppers 6 years ago and has gone from strength to strength. Hannah and Anna are the perfect teachers - fun, highly skilled, creative, sensitive and kind. They have always welcomed Naomi with a beaming smile and made her feel valued as an individual - there is a place for everyone. We have experienced first-hand, Hannah and Anna's encouragement and support. They have enabled Naomi to participate in very varied and creative performances, developing her as an individual, building her confidence, helping her learn disciplines and skills in order to take on challenges that we could only imagine. 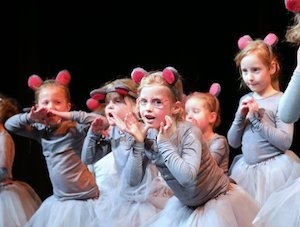 We have been amazed at how the opportunities within Star Steppers for our children have widened, whatever age they are. As an organisation, it continues to develop, and for our family, we have loved every minute! In a safe, fun and nurturing environment, children, aged 2-3yrs, will develop their movement and music skills, imaginations and confidence. 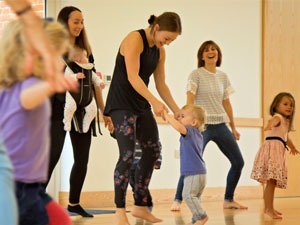 In our Little Steps classes children will be taught fun dance routines designed to develop key movement skills, songs to introduce vocal technique and musicality and drama to build confidence, social skills and creativity. Children will be taught by qualified dance teachers with a wealth of dance teaching experience, working with early years children. Amongst our most popular classes, these run each Tuesday and Wednesday for a range of ages and abilities. Those attending can expect a wide variety of disciplines covered within their 60 minutes with Star Steppers. 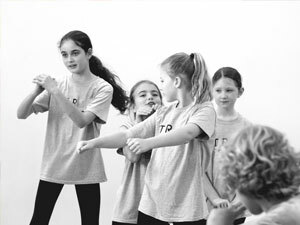 We cover drama, singing and dance as part of the class so you can expect Jazz, Contemporary and Street Dance to be covered as well as Musical Theatre, the latest pop songs and classical works. We pride ourselves on providing a well-rounded experience, taught by professionals to create a fun and memorable after-school class each week. The class takes place in Reigate Methodist Community Centre which is located just behind the church on the high street (near Marks and Spencer). Most parents will park in Morrisons, which is free for two hours and just a short walk away. There is a lovely cafe located in the community centre itself just a corridor away from the class. Many parents wait here enjoying a cup of tea with the other parents or even have siblings doing their homework, some will do their weekly shop or even walk the dog in Reigate Priory Park which is adjacent to the class venue. Where do the Reigate Star Steppers members attend school? We have a wide variety of schools attending including Reigate St Mary’s Prep School, Holmesdale Infant School, Reigate Priory Junior School, Reigate Parish Infant School, Wray Common Primary, St Joseph’s Primary, Dovers Green School, Sandcross Primary, Salfords, St John’s Primary, Northdowns Primary and Manorfield Primary. Many of our older students attend St Bede’s, Reigate School, Royal Alexandra and Albert and Reigate Grammar. Combination of funky dance routines, singing & creative, dramatic play. Combination of Singing, Dancing & Drama – Covering Street Dance, Musical Theatre and Pop Styles. Who teaches the Reigate Classes? Monday is taught by Anna. Tuesday is taught by both Anna and Hannah. Wednesday is taught by Anna. 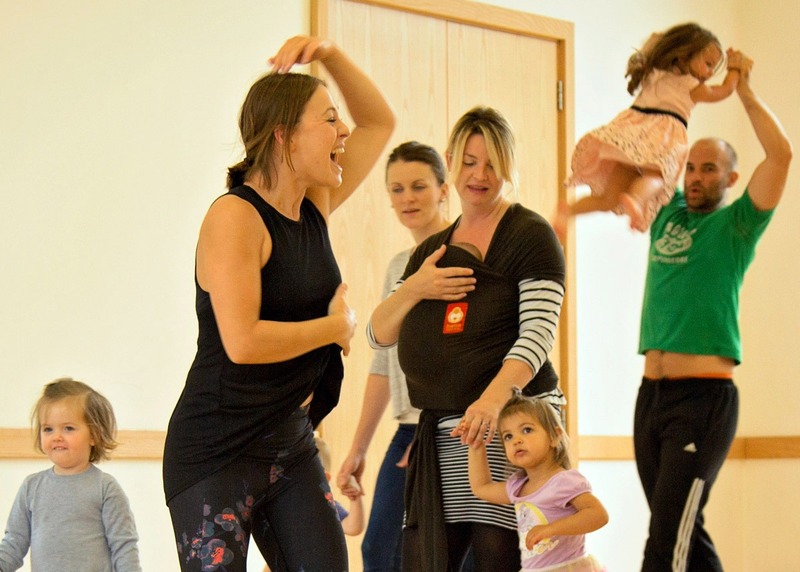 Does our Reigate Class sound like fun?